It’s not one-size-fits-all. Deciding whether to buy a hybrid, diesel, or conventional car with great MPGs depends on your specific needs. If much of your driving consists of stop-and-go traffic, a hybrid might be the best way to go. 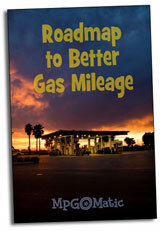 If you wrack up the miles on the open road, a diesel could be your best bet. But their are plenty of things to consider, from part replacement costs to the price of fuel. Put Robert Frost, Clint Eastwood and Eddie Money in the same room, and they might agree. With miles to go before you sleep and only a fist full of dollars to get you there, a fuel-efficient used car could be your ticket to paradise (or to the next paycheck). Compact vs Sub-Compact: How Small is Small?